A battle fought on 24 squares, this game is based on a 19th century Sanskrit book. The objective of the game is to gain control of the enemy's territory. 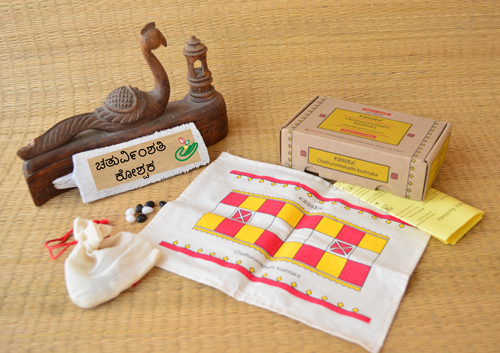 This canvas game set is designed to be compact and travel friendly, and comes with 8+8 coins and rule sheet.